We are so happy to share that Maryam and Alex’s wedding was featured on California Wedding Day! 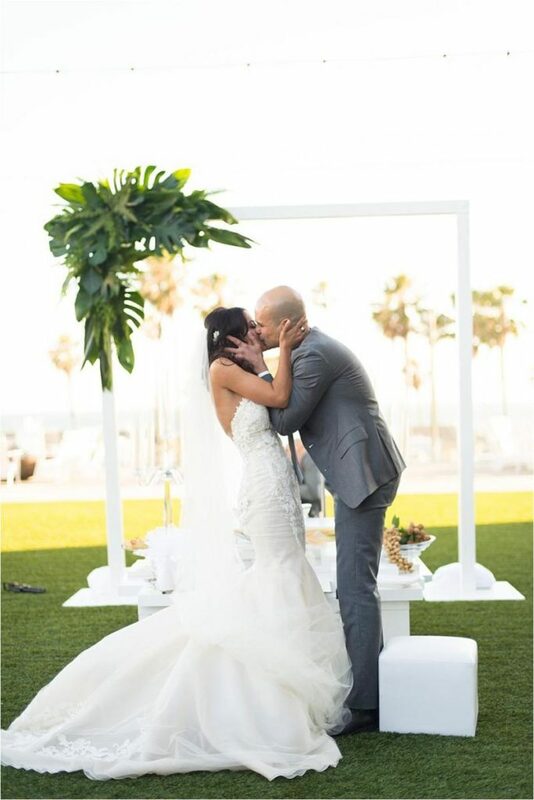 Their beautiful wedding took place at the Pasea Hotel located in Huntington Beach, California. 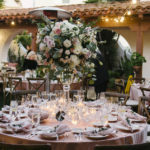 California Wedding Day is your source for wedding inspiration for everything California related. Their magazine offers inspiration and vendor recommendations for your local celebration. “Maryam and Alex’s wedding at the Pasea Hotel in Huntington Beach showcased all things beautiful and beachy. 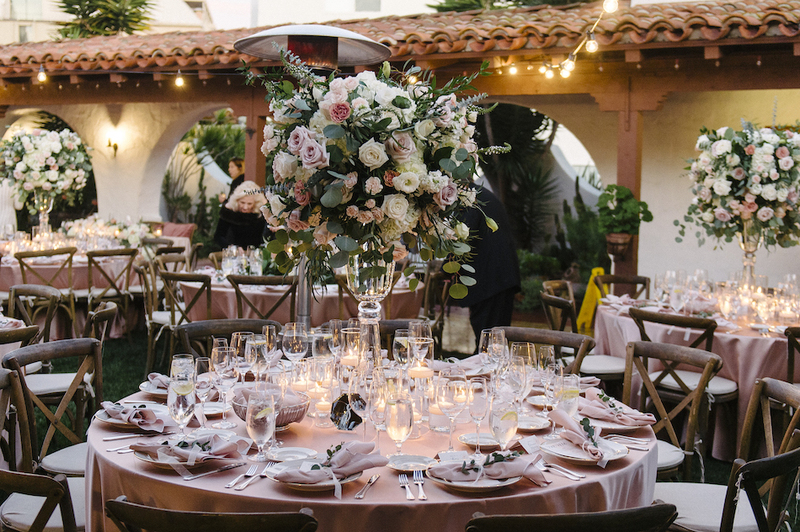 A sweet color palette of pretty blues and greens was paired with neutral hues of blush to create a stunning backdrop for the big day.” – California Wedding Day. 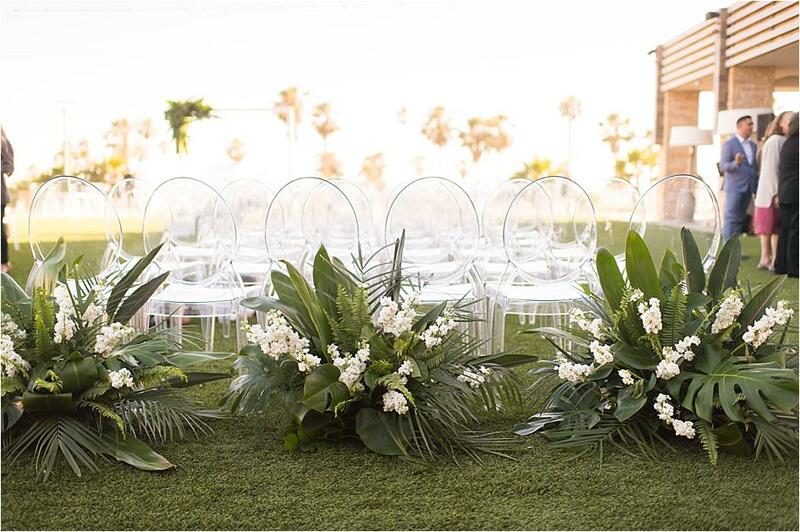 Flowers by Cina added a tropical theme to this beach wedding by decorating the white and clear decor with large palms and popping greens. Their wedding brought the perfect mixture between a seaside theme with a modern twist. 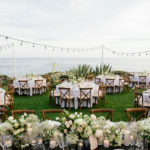 “The gorgeous reception showcased a sleek design, with lovely beachy foliage and simple glassware gracing each table. 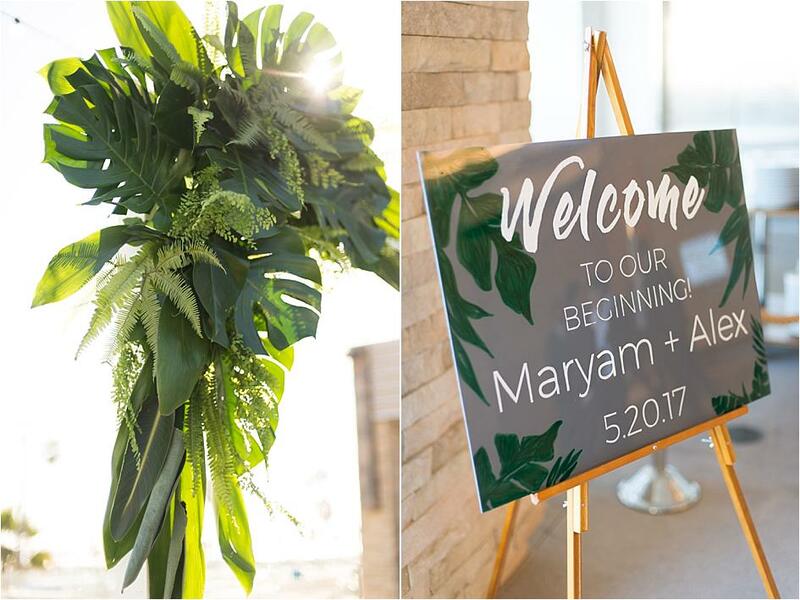 Maryam and Alex asked guests to sign a chic surfboard, adding their own personal twist on the traditional wedding guestbook and adding to the beach theme.” – California Wedding Day. The feature describes the event perfectly by pointing out the purple and ivory “glory” that filled the event. Golden hexagon arches waited for the couple to stand as the backdrop for the union ceremony. Purple and white flowers perched on the angles that gave a popping color to the blue ocean background.